One of most sparsely populated counties in the UK, Herefordshire is reknown for the Hereford cattle breed, cider and fruit production. Herefordshire is predominantly agricultural, perched on the edge of the Welsh border and is home to the fifth longest river in the UK; the River Wye at 135 miles. 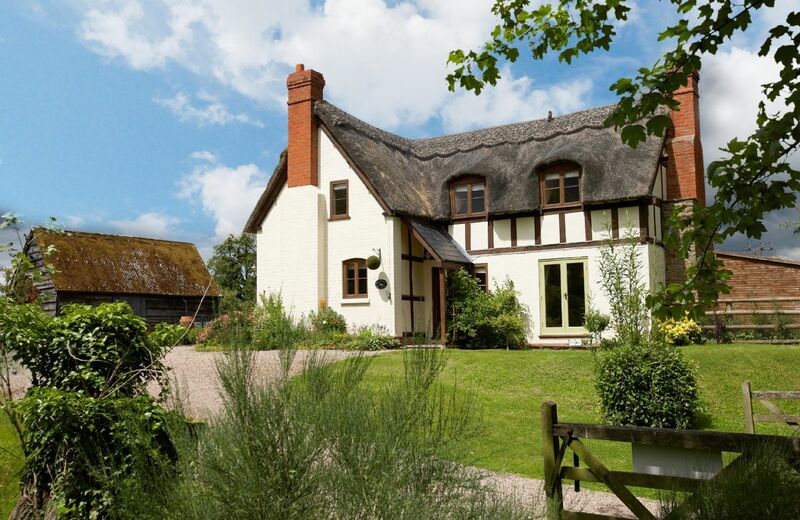 One of the 39 historic counties of England, our self-catering holiday cottages in Herefordshire are popular because of the stunning surroundings, sparse populous and its many historical landmarks. 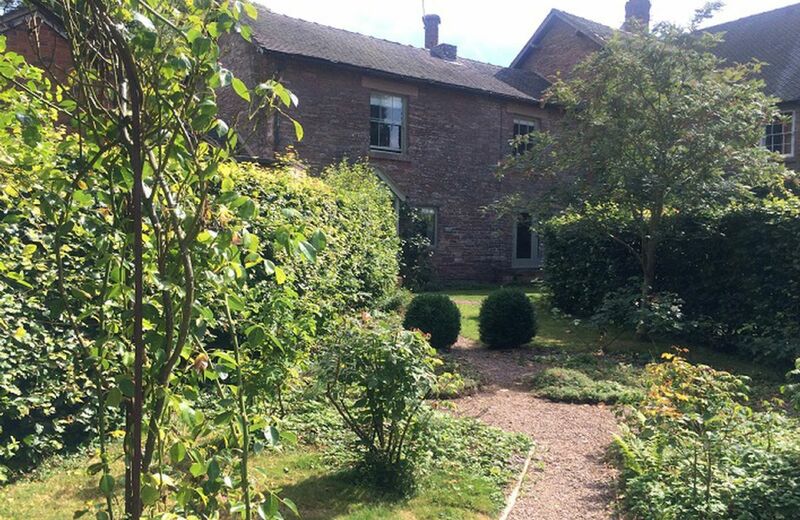 Herefordshire has everything for everyone, from play parks for the kids to places of historic interest; you can spend hours looking around such as Croft Castle, St John Medieval Museum and Belmont Abbey. These are just some of the landmarks sprinkled across the diverse countryside of the county. Going on a cottage holiday to Herefordshire means you can have access to all of this; the problem is deciding how long to go for and how much to see! The children can enjoy Oaker Wood Leisure for a more adventurous time or perhaps Westons Cider Mill play park. For the more adventurous families you could pay a visit to Contour Outdoor for a taste of everything from navigation to rock climbing and walking. Whatever activities you do, you should most definitely taste the local ciders of which have been in production for over 350 years. If you really want a true taste of the local cider and its rich heritage, there’s a cider cycling route enabling you to visit and taste as many as possible! Thinking of food, an eclectic collection of pubs and restaurants pay homage to the heritage and culture of the county and can be found in many nooks and crannies across Herefordshire. From locally sourced produce to lively locations found in the centre of Hereford City serving first class dishes; there's something for every taste. Hereford itself is well worth a visit sporting a stunning Cathedral and dramatic scenery and even a raceway. Herefordshire boasts adventure and tranquillity in a mix of diverse settings, from white water rafting to the serene British countryside in which our holiday cottages are located. Set in the heart of the Herefordshire hills, our unique offering extends to a Castle estate including Edwardian cottages, where everything the county has to offer is easily accessible. Whatever you choose to do you'll find your stay an incredibly enjoyable one. 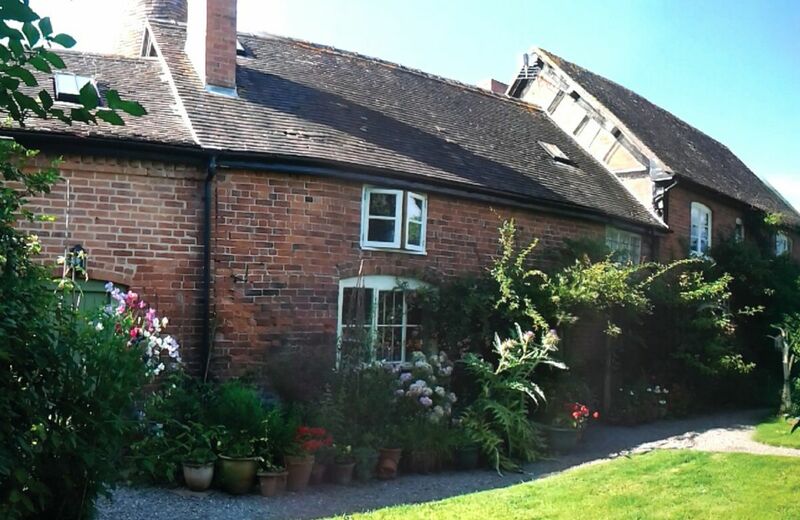 Now you can choose a relaxing holiday cottage in Herefordshire to act as your home for the stay and relax in the evenings after a busy day out seeing the sites! House was cold as heating wasn't working properly took way to long to sort out . Lovely cottage in a quiet location but with lots to do in the area. Excellent hamper too! Excellent and peaceful retreat - very well presented and comfortable. The property was absolutely beautiful. Tidy and spotless, it was really cosy and in a great location for lovely scenic walks. The owner was so helpful too and went above and beyond. We’ll definitely be returning. Another wonderful stay at 2 the Oaks. Christmas week was really special there and the welcome hamper put together by Lorell, the housekeeper, was greatly appreciated. I was also pleased to see that some of the issues raised in previous reviews at this house had been addressed. Gorgeous cottage in an out of the way location. The perfect place for a relaxing and peaceful stay. Would highly recommend. Lovely cottage, well equipped kitchen and an amazing hamper, nothing too much trouble, housekeeper was really helpful. Brilliant stay, hope to go back again lovely countryside and wildlife. 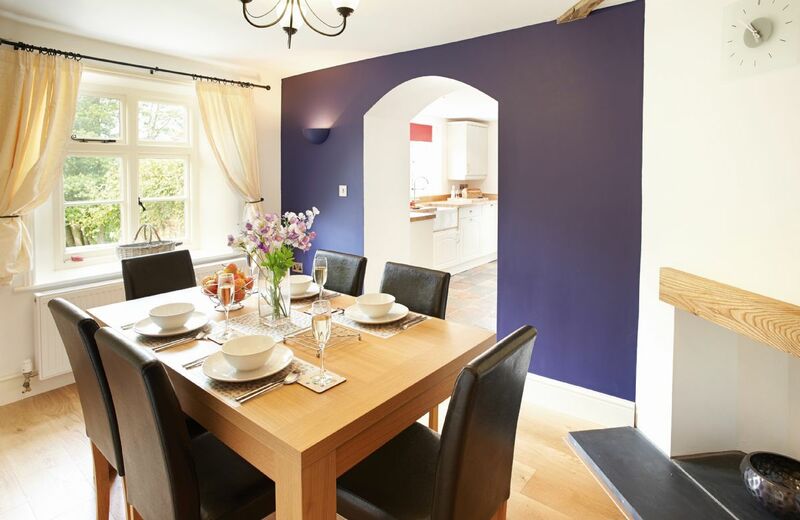 The standard of the property was the best we have ever experienced - a gorgeous, well presented cottage. It was well appointed and spotlessly clean and you had everything you needed [which is rare in our experience] such as washing up liquid, brushes and cloths, tea, coffee and milk on arrival to a well a stocked wood pile for the wood burner. But the wow factor had to be the welcome hamper. Never seen anything like it - luxury cereal, biscuits, cake, wine, apple juice, bread, local cheeses and biscuits, preserves, ground coffee and a huge bowl of fresh fruit. Lovely cottage, really well equipped. Loved the welcome hamper, so many wonderful goodies! Would definitely go there again and explore more of the local countryside. The location was beautiful and very peaceful, with lovely outdoor spaces. Nice walks in the area. The kitchen was great and we spent a lot of time sitting in there after meals. The bedrooms were lovely, but the bathroom was very tiny, allowing only one person at a time in there! Clean comfortable well equipped cottage down 2 single track lanes. Bathroom sink a bit tiny resulting in water splashed everywhere. No shelves to put anything on in bathroom. Excellent welcome hamper. Outstanding cottage. Could not wish for more. Been there several times - always a pleasure - peaceful and yet well located. Thank you for your lovely review. We are delighted that you enjoy returning to 2 The Oaks. Everything was perfect, cottage location and the weather too. The Oaks is a lovely property. Living room and kitchen are very comfortable and well equipped. The bed in the master bedroom is squeaky and not really acceptable for the price one pays for this property. Also, I didn't like the plastic under sheet. This is something I expect in a cheap chain of hotels. So the bed needs upgrading as soon as possible. 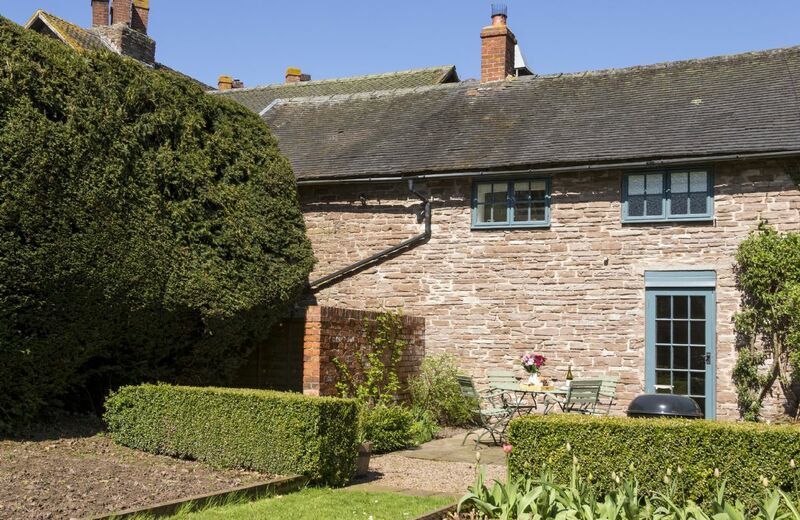 This beautiful 19th century sandstone cottage is in a peaceful location between Hereford and Ross-on Wye, both seven miles away. 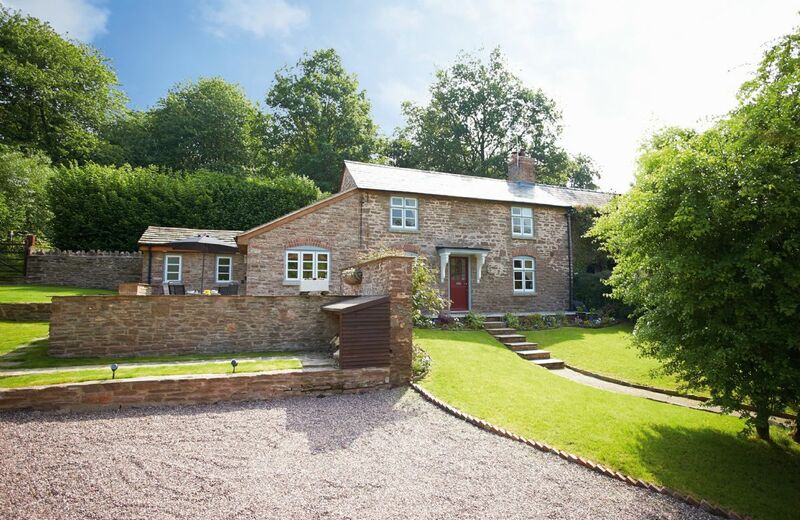 The cottage is one mile from the village of Hoarwithy which has an excellent pub right on the River Wye. An excellent cottage absolutely superb. Everything in it that you needed even down to a picnic basket with all its contents. This has to be the best cottage we have stayed in. Will definitely book it again. Pembridge is a beautiful village to stay in. We absolutely loved this cottage and had a fabulous week’s holiday. Everything we could have wished for was provided and more. The cottage was stunning inside and out, with a beautiful garden perfect for our two dogs. A great place to explore from in an exquisite little village. Couldn’t have asked for more! What a wonderful review for lovely Cobblers Cottage. Thank you so much - I am delighted that you enjoyed your holiday in Pembridge. Comfortable, interesting and very well located. Shame about the main road through the Village. The cottage was delightful, with a perfect garden for meals and just having a quiet moment in the sun. Beautifully furnished & lacked nothing equipment wise, with a delicious welcome pack. The village of Pembridge is amazing with great walks from the front door for dogs and people! There is so much to do and see locally and within a short driving distance. 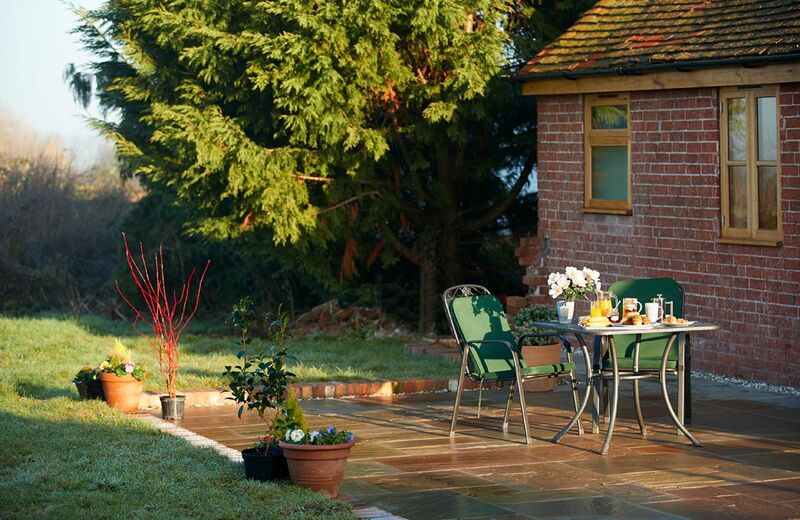 Pefect for short or longer breaks in the lovely county of Herefordshire. Delightful cottage with all the period features including very very low beams, which is why not 5*. 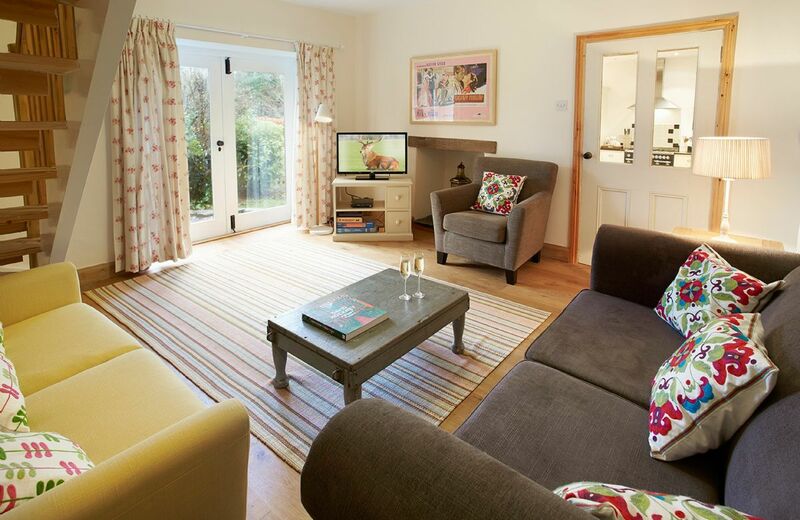 Cottage is otherwise very comfortable with some great furnishings and a lovely welcome pack. While the cottage is a super place we were staying there in March and had to deal with SNOW so the garden area while very nice was of little use. We had to stay in the cottage for one day due to heavy snow fall and during our time in the cottage we found a big problem. Traffic noise. The cottage is located on a very busy road and at the end of the village so trucks entering the village are travelling far too fast and the sound was all day and well into the evening. The traffic issue made our stay in the cottage not the perfect location we thought it could be. If the cottage is used as a sleeping stop over I am sure you would be more than happy but if you are staying inside the cottage all day mid week take ear plugs. From the owner ~ Thank you for your feedback for Cobblers Cottage. We are delighted that you thought the cottage super – it is such a shame that your visit coincided with the snow and you were unable to drive around from the property. The website notes that Cobblers Cottage is on an A road, and there is obviously some traffic noise, but we are greatly saddened by your comments about ear plugs. 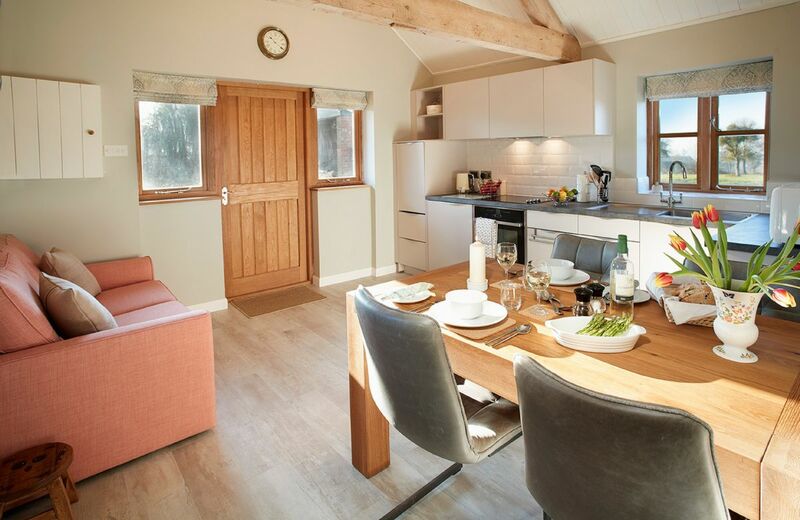 The Cottage we stayed in was beautifully finished and equipped to a high standard we couldn't fault the accommodation. Are only reservation would be the traffic noise which we are not used to. It is such a pity that a lovely village like Pembridge is spoilt by heavy lorries thundering through! FROM THE OWNER ~ Thank you for your kind comments regarding the cottage. Whilst we agree it is unfortunate that the village is on an A road, we think it is unfair to intimate that the traffic noise is excessive. Lorries ( and traffic generally) do go through the village but these are intermittent and not constant. Pembridge, after all, was featured in Penelope Keith’s programme “Village of the Year”. 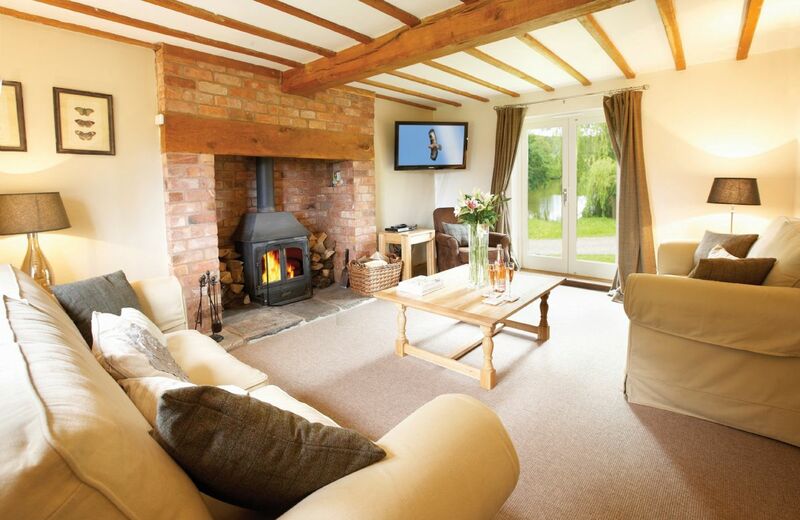 Beautiful cottage with everything you need including a lovely cosy wood burner. Very comfortable and tastefully furnished. Beautiful cottage which had everything. 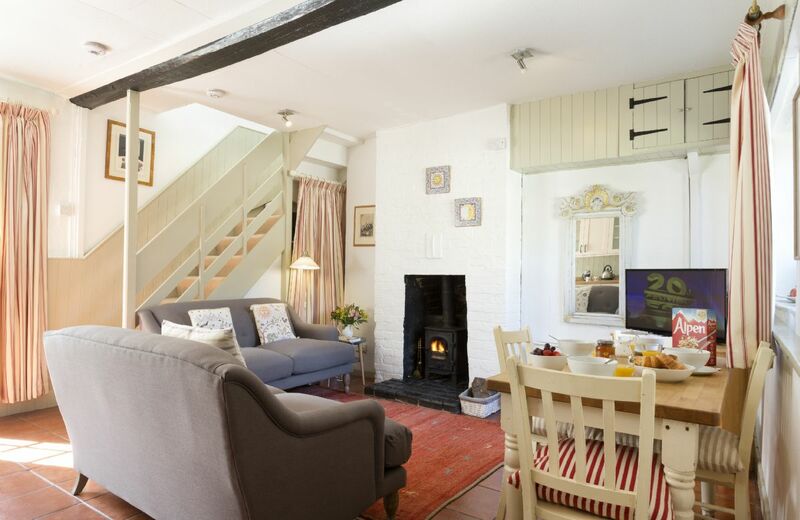 Cobbler’s Cottage is a quintessential character cottage in the picturesque village of Pembridge on the famous Black and White Village Trail. Pembridge boasts a good selection of places to eat and drink, and is close to the historic market towns of Ludlow and Hay-on-Wye. Lovely cottage. Very well equipped, beautifully furnished with a super little private garden with outdoor BBQ and seating area. The owner was welcoming and ever so helpful. Couldn't fault it in any way. Lots to do and see in the area with everything very close by. Walks available from the cottage too in very attractive countryside. Cottage and location would suit couples or families. If you want a perfect holiday, book Hampton Wafre cottage, you will not be disappointed. A lovely cottage in beautiful surroundings and a very friendly host. 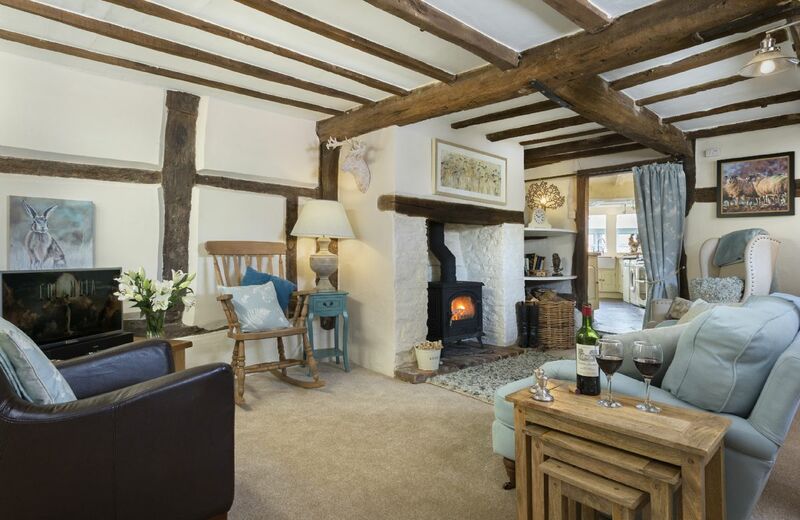 Really lovely cottage - extremely well appointed with everything we needed. A very much appreciated welcome basket of goodies and treats for our dogs which they loved, almost as much as the underfloor heating! 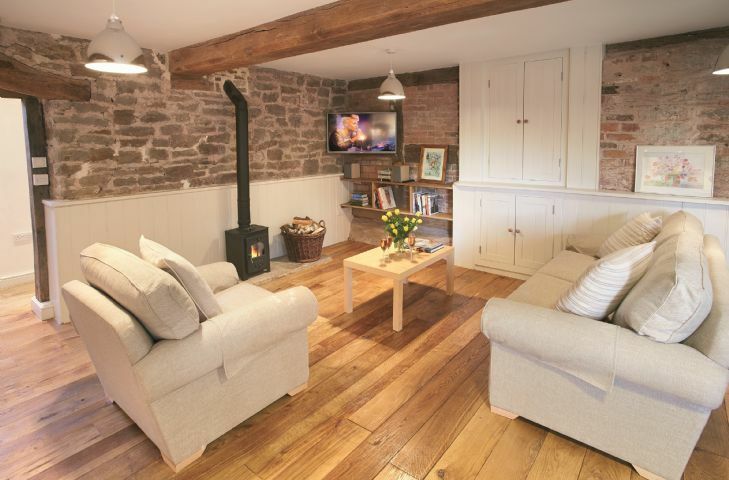 Very comfortable, cosy cottage and an excellent base for exploring the Herefordshire countryside. Thank you to Adam and Jane for being so welcoming. A lovely little cottage in a great location. It was well equipped, private and a nice little "rural retreat". What a perfect review for our lovely Hampton Wafre Cottage. Thank you. The cottage had everything we needed for a relaxed and comfortable stay.The owners were friendly and couldn't have been more helpful in helping us sort out a problem with our car. helpful. I would like to return. Very clean and well presented and equipped property. A warm, comfortable, well presented cottage in quiet rural location, with helpful owners close at hand to resolve any issues. The front garden is enclosed with a low post and rail fence (not illustrated in the photos). Cottages always exceed expectations from photographs. Always clean, fresh and smart. Love that there is a welcome hamper and that the fire is always laid. Only tiny thing is frequently, the barbecues aren't in a state to use without cleaning. Very relaxing fortnight's holiday. Beautiful countryside with historical sites. Cottage quiet and comfortable. A washing machine would have been useful. 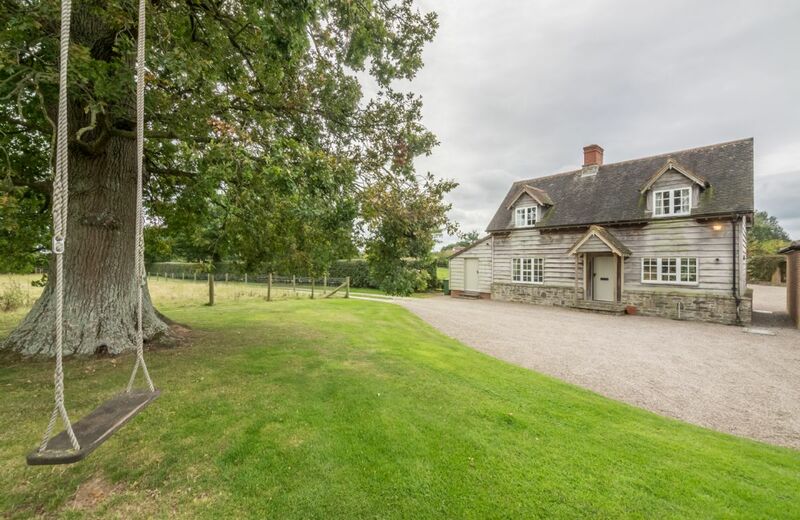 This converted 17th century stone barn with a private, enclosed garden is located half a mile up a private drive on a working arable farm near the village of Docklow. It offers plenty of country walks with stunning unspoilt views. 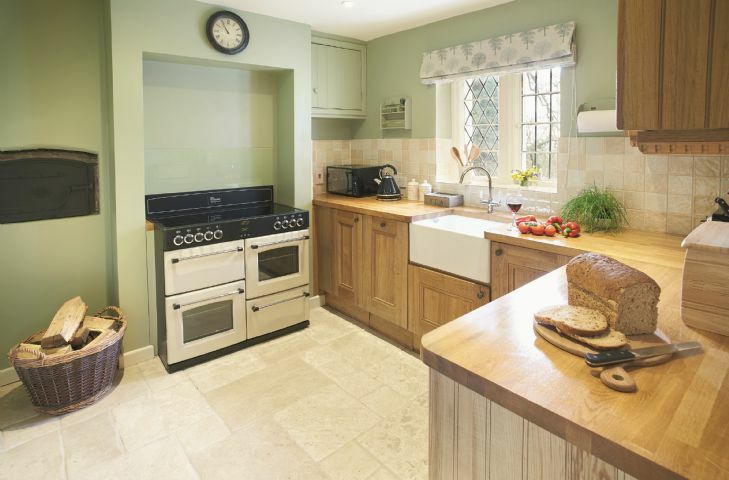 Woodlands Cottage is a pretty, stone dwelling which has been stylishly converted from the kitchen wing of the neighbouring Manor House. It stands in its own enclosed cottage garden and is set well away from the road, at the end of a long driveway. 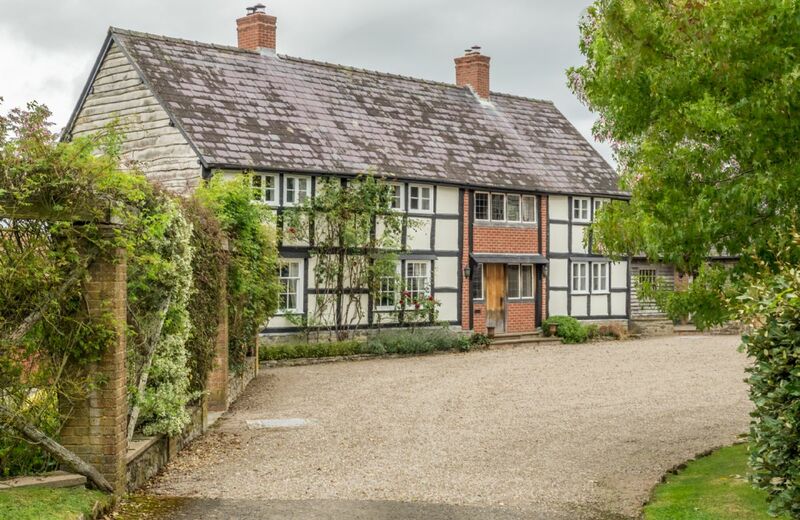 This half-timbered property in an idyllic rural setting, lies in the grounds of Bearwood House, however is completely separate. 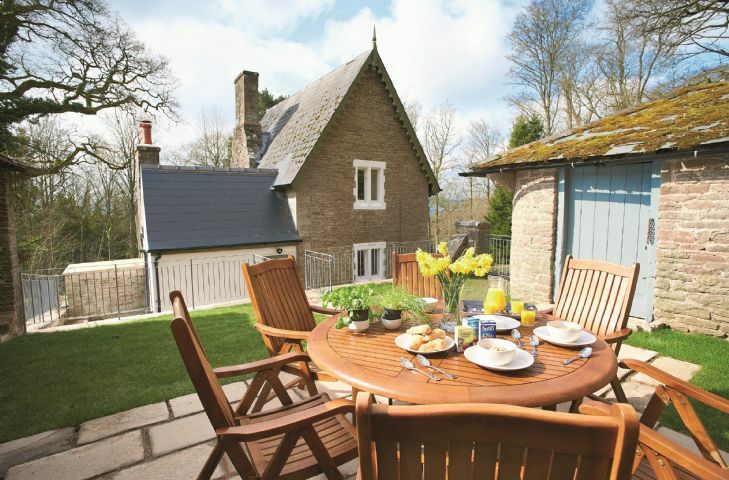 Picturesque Pembridge village is a mile away and the Michelin-starred Stagg Inn is within 15 minutes drive. We had a great time in a lovely cottage. The accommodation was lovely, the setting superb, so quiet and peaceful, exactly what we wanted. We have stayed with Rural Retreats many times and rarely been disappointed with the quality of accommodation and this was no different. Excellent hamper. The garden and outside space could have been better ‘ looked after’. Absolutely Amazing from the moment we arrived! Truly our English dream home! Lovely and clean accommodations with lovely touches of home! A must stay and walk the estate and meet Jake and Ellie I think for horses up top! Lovely evenings of playing cards and enjoying the most amazing country views and sounds! Will definitely would stay again!!! Great location, with a rustic feel. Easy to find and collect keys, and a lovely hamper of goodies was waiting for us. There’s a handy utility room with washer and dryer, and everything is tastefully decorated. We got the feeling it would be a lovely place to stay when it’s colder, so we will plan to visit again in the winter. We arrived mid summer during a heat wave, and immediately had to go out an purchase some electric fans! The bedrooms are so hot at night with the thatched roof that sleeping would have been impossible without them, so would be nice if there were some compact fans available for when needed. There was also no room spray for the bathrooms which would have been more pleasant, as would a small sachet of locally made bath salts or bubble bath for the tub. It would be nice to have a sleeper couch in the living room, which we would have used in the heat as it was much cooler downstairs, and would also provide additional sleeping space. The stairs are incredibly loud, so if you have kids who you might want to put to bed early - sneaking back up the stairs might be quite tricky! Our dogs were so freaked out by them that we had to carry them up and down for the duration of the stay, and as they’re polished wood with no grip, the staircase might be a bit hazardous for younger children (some inexpensive grip strips would be helpful). Also the bedding was all made up with warm duvets which we couldn’t use in the heat. Fortunately I found a thin cotton comforter off one of the spare beds to use, but it would be nice to have top sheets on the beds for those hot nights when a duvet is just too much. Other than that I really enjoyed being able to pick fresh garden mint to make teas for myself, and lounging outside in the open country is a real treat from the usual city noises we have at home. We also had daily visits from a rabbit at the bottom of the garden which added to the charm and being able to look out across the lake was lovely. There are also an abundance of local trails, river walks, manor houses and National Trust properties to visit which we found were all charming and offered good food. Waitrose delivers to the house, so we were able to place a food order to be delivered the day we arrived which makes life a whole lot easier! Recommended. Everything is well thought out to make your stay comfortable and relaxing. In fact the cottage is the best we have stayed in. Well done Nicola and thank you. 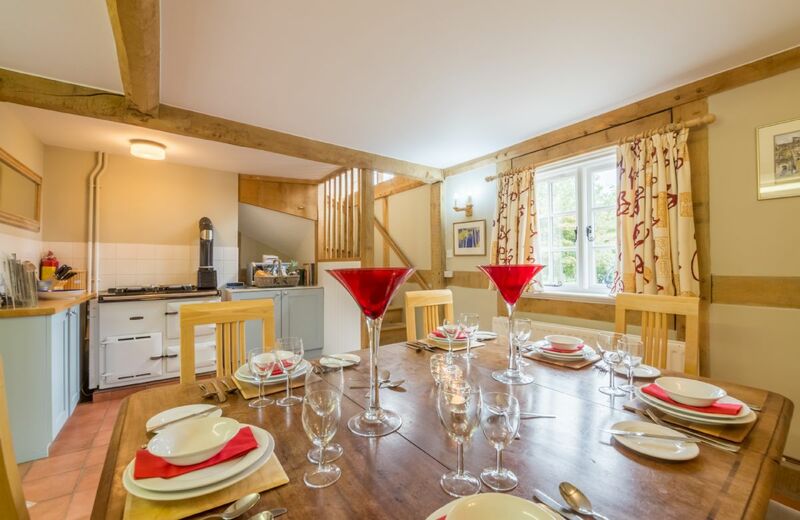 The perfect cottage for a family celebration! We were blessed with amazing weather and spent a lot of time enjoying sitting in the garden. Excellent walks on the doorstep through the estate. Nicola was very helpful and provided a lovely welcome hamper containing lots of delicious goodies! The cottage was delightful. It was perfect for 6 adults to spend a few days chilling out. The shower in the main bathroom was excellent. Things like that make a holiday, particularly when the weather is variable. Beautiful cottage & beautful location. The 400 acres of grounds are great to explore especially on bikes. The fishing lake by the cottage needs to be made more accessible for anglers (clearance of trees etc) but wouldn’t stop us returning as cycling around the grounds kept us entertained! Fabulous place, very traditional but also well appointed with modern conveniences. Beautiful cottage In stunning location. All very comfortable. Kitchen a little out of date and some more utensils etc would have come in useful. Overall, however, a lovely property. We had a wonderful time at Pool Head Cottage, which is a most charming and beautiful house to stay in. 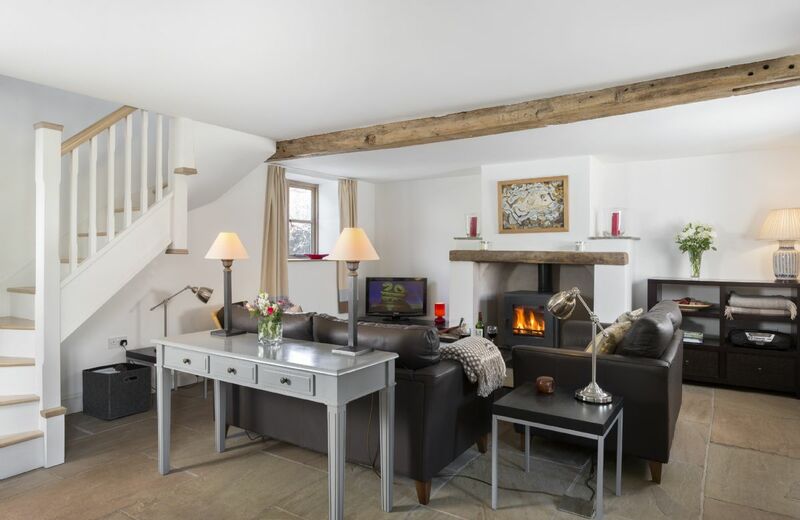 It is beautifully furnished and has a lovely atmosphere, enhanced by all the loving touches which the owner Nicola has put into it, so guests will have a comfortable time. The welcome hamper too was very kindly and generously put together, with also a lovely bunch of flowers on the table to make us feel at home. The cottage is set in a lovely rural peaceful setting right near a nice lake with lots of ducks and other wildlife and country views all around and some lovely walks on the estate from the doorstep. From the cottage many lovely visits to National Trust and private gardens, mountain drives, Wye valley walks and Hereford are within easy distance. We had a really lovely week and want to thank Nicola and Rural Retreats for a true retreat at a wonderful cottage. One of the best we have stayed in! Beautiful location. Cottage clean and tidy. Very helpful owner who came and lit the AGA for me! Excellent cottage. Well equipped and lived up to expectations. Only disappointment was that Aga was not working. Only given a Good rating as we had to contend with mice inside the cottage. The problem was known to exist before our visit, but speaking with the housekeeper it was apparent that no remedial action had, or was planned, to be undertaken!! We were even asked to try and kill the mice with appropriate traps!! Not what you expect to be included in your rental. The cottage is old, but could do with some TLC. This cottage is absolutely stunning and set on an estate with 100's of acres of woodland which provided great walking opportunities. 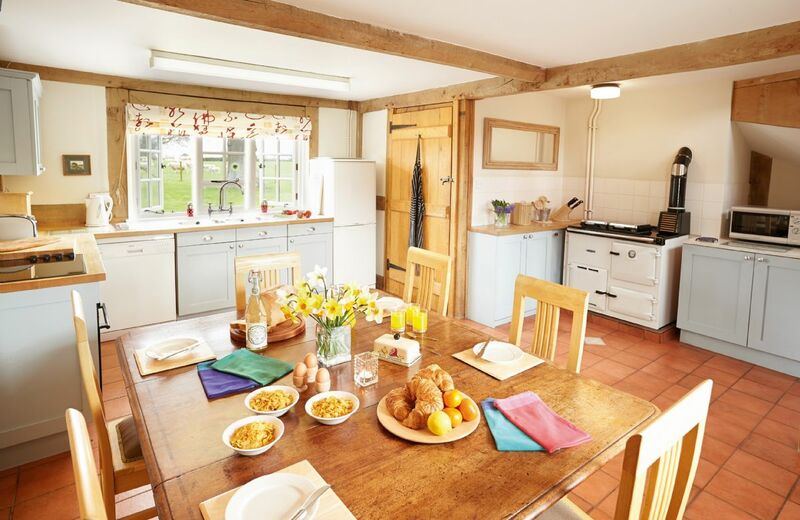 The cottage is very well equipped, and furnished to a high standard. We loved our short break here and wouldn't hesitate to come back. 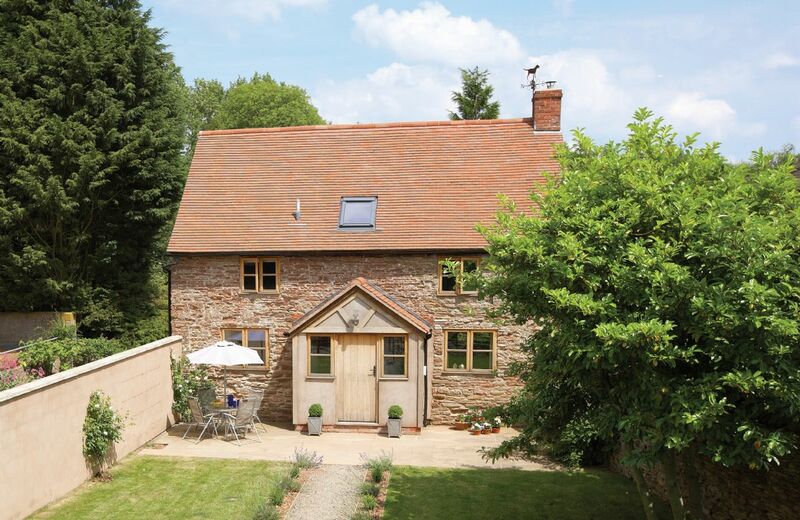 This cosy retreat in the village of Westhide is just two miles from the A4103 which links Hereford and Worcester. 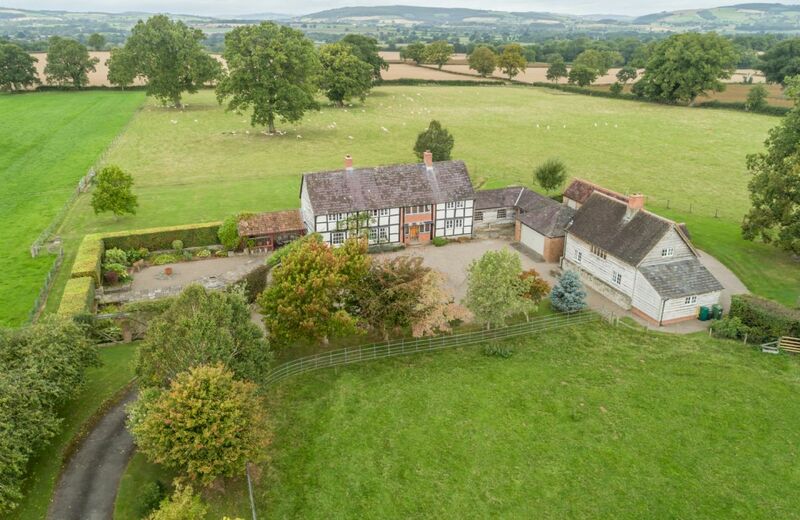 You have access to 400 acres of oak woodland with incredible views of the Malvern Hills and Black Mountains. Lovely house in a lovely setting. Ample room and well equipped. Owner friendly and communication very good. Everything we needed was available. Clean well maintained property. All the facilities worked well. Extremely comfortable and the housekeeper was very helpful. 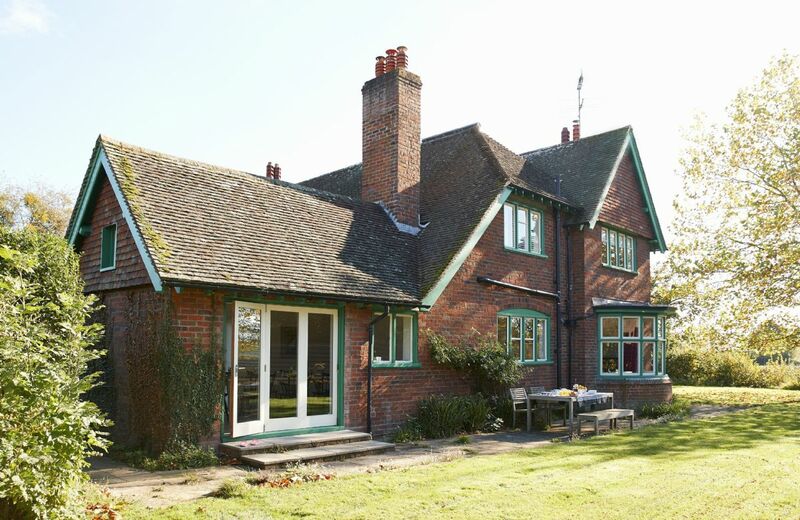 Fantastic house for a large family holiday of 3 generations for a special birthday. Spotlessly clean and every attention to detail covered. Plenty of space in the grounds and house for children to roam free safely. Games room popular with everyone and lovely having a hot tub which we used every day. Great having bikes provided too. Outside caterers from the Cider Barn were excellent. Bearwood House had everything and more besides. Beautifully clean on arrival we could not have had a better time in this lovely setting. We were lucky with the weather so spent most time outside , in hot tub or in the games room. Well done to all concerned you made our stay memorable. We were thrilled with the house and all its facilities. The setting was magnificent, the quality of the interior was excellent - the welcome pack, bedding, towels etc. and the contents of the kitchen was better than home!!! !The family were also delighted with the games room and the hot tub! All in all, it was a very memorable stay and I was in tears when we had to leave! Also, Lucy the owner was a very diligent and caring person and we wish her well for the future - we will definitely be back to Bearwood!!! Many thanks! Beautifully situated and appointed. Attention to detail. Fabulous welcome hamper. Excellent hot tub! The cottage was lovely, very clean and extremely well equipped. Having the hot tub and lovely outside area was an added extra. We all really enjoyed staying at Bearwood and will be back on the near future. Thank you very much. A fabulous house in a beautiful part of the country. Ideal place for a large family gathering. Amazing house exactly how it is pictured. We had a problem with the water supply (welsh water fault - not the owners) and they came straight away to check it. Stunning property with a wonderful hot tub, which made our stay a real treat. All bedrooms were lovely and facilities all that anyone would need. Highly recommended! Beautiful house, perfect for our party of eight plus 2 dogs. Setting was peaceful & relaxing. What lovely feedback for Bearwood House. Thank you so much. Very enjoyable few days, We will be back. Thank you for your feedback. We are delighted that you had a great holiday at our lovely property Bearwood House. We look forward to making the next booking for you. Really can't fault this accommodation. Wonderful facilities, thoughtfully equipped, perfect location and very helpful and attentive owners. If we could have spent longer there we certaibly would have done! Fantastic house, perfect for large family gathering, ages from 8 months to 90 yrs old. Very well furnished & equipped, room for all, and plenty to do. 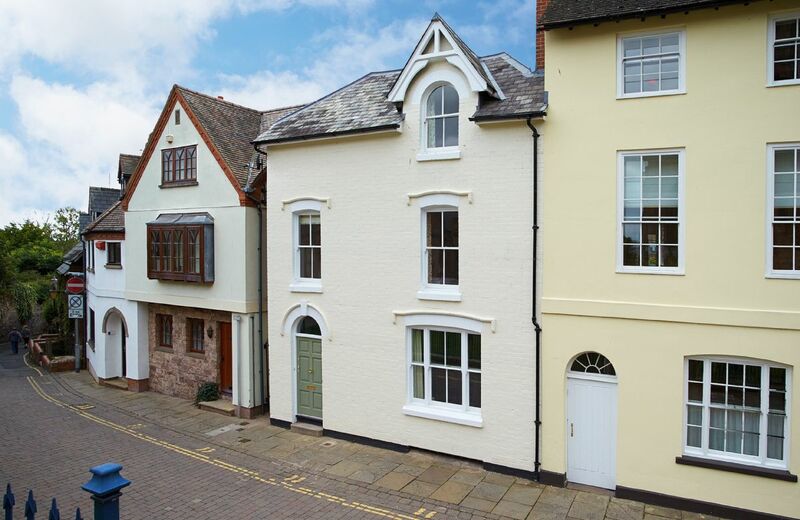 A beautiful property, exactly as described and with attention to detail beyond expectation. Our best ever property experience with personal touches provided by the conscientious owner. Beautifully kept property & grounds with everything available we needed. Could have done with a toilet near the laundry/play room. Hot tub - the best we have come across and well maintained. Play room & bikes good fun & also well maintained. Thank you for your review of Bearwood House. The owner has undertaken a 2 year restoration programme of the exterior of Bearwood, new sofas have been added to the morning room and a rubberised floor laid in the games room. The dishwasher is relatively new and has not had any previous complaints but the owner investigated and confirms that all is well. 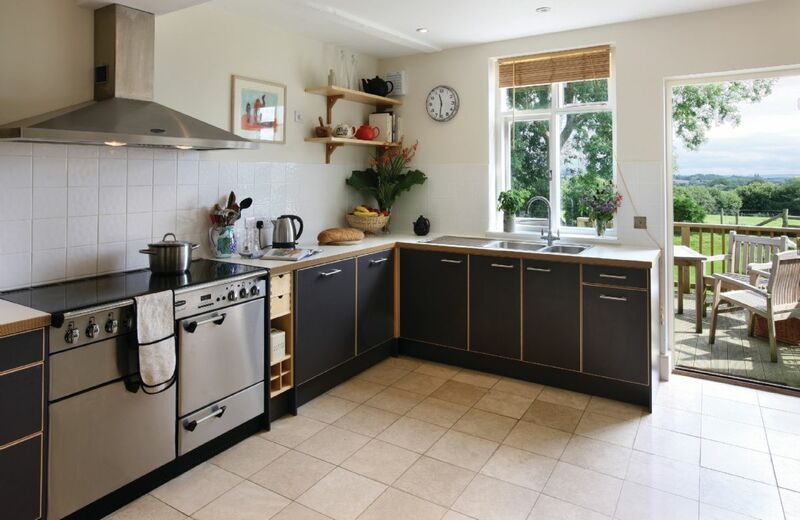 The kitchen has had some lovely additions and refurbishment since your stay. We do hope that, like many guests of Bearwood that you will return soon. 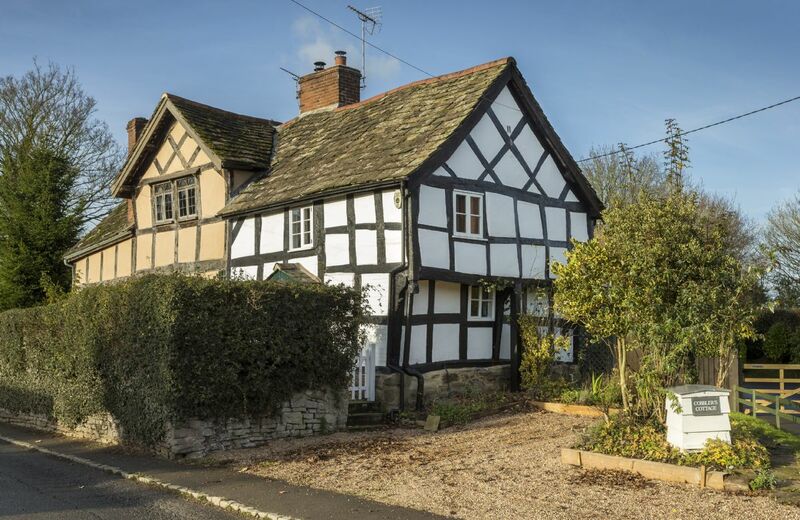 This half-timbered property near Pembridge in an idyllic rural setting is adjacent to but separate from Bearwood Cottage. 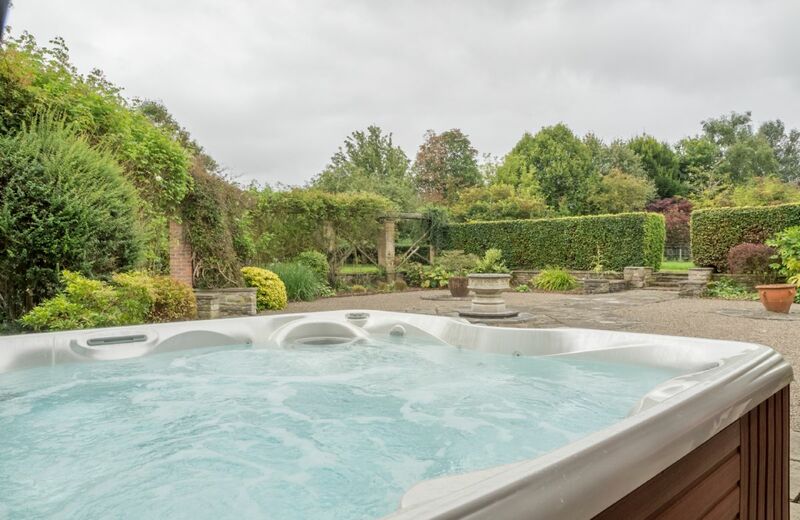 There is a luxury outdoor hot tub, a games room, bicycles and garden games such as croquet, badminton and boules. Perfect venue for a family celebration. Beautifully maintained and equipped. Fantastic house, very well equipped, lots of space for everyone and lots of bathrooms. Wonderful location, so peaceful and beautiful. It was great to be able to see the stars at night, as there were no lights around to disturb the darkness. Enjoyed the tennis court and table tennis, especially when it rained. Lunch at the Stagg Inn was great, and they were very welcoming to us after our muddy walk. We also enjoyed strenuous cycling and running in the surrounding hills. Would love to come back sometime . Beautiful house and situation. Sadly the Stagg Inn was closed for the week whilst we were there. Lacked relaxing outside seating. Welcome pack didn’t include bread, butter, eggs, cheese, juice, jam which was a shame. The house was well equipped. Most holiday houses have insufficient crockery, cutlery and utensils, but this one had plenty. The tennis court in the barn was brilliant. There were a few things that could have been better but we were well satisfied. The house was as good as advertised; clean; presentable and decorated for Christmas. The accommodation was ideal and the generous number of bathrooms much appreciated, as was the indoor tennis court. Unfortunately the downstairs toilet was out of order, which probably couldn't have been helped, but the kitchen tap, which flowed continuously (not just dripping) should have been replaced some time ago. 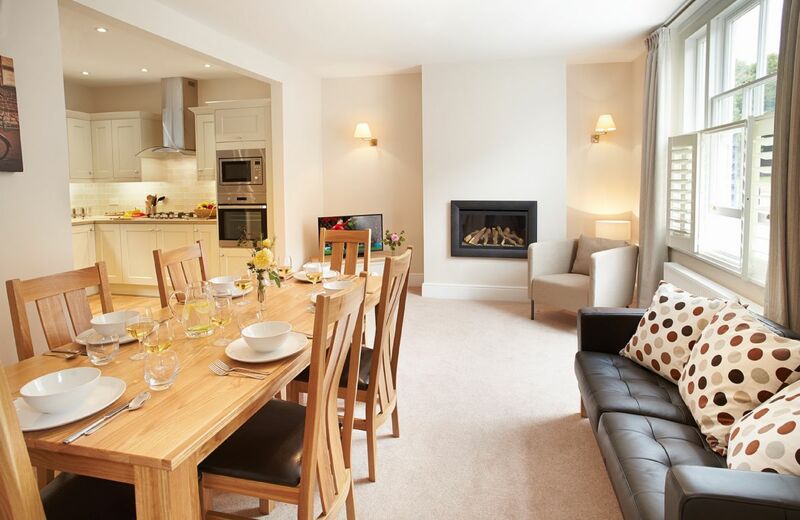 The area was ideal for a large family with diverse interests and we had such a great time we have booked Upper Mowley for Christmas in two years time! Hoping for snow again!!! I am delighted that you enjoyed your stay at Upper Mowley and have rebooked for Christmas 2019. I have passed on your comments to the owner, who was actually in the house for New Year, and realised the problems as well. Everything is being fixed now and thank you for leaving your feedback. Beautiful house in a gorgeous location. Perfect for a family weekend away. A perfect house for a family reunion with everything geared for adults, children, babies and dogs alike! We were greeted by a huge welcome pack with everything we needed to start our holiday including 2 bottles of wine!! The bedrooms are spacious with large comfy beds and most with en suite bathrooms. 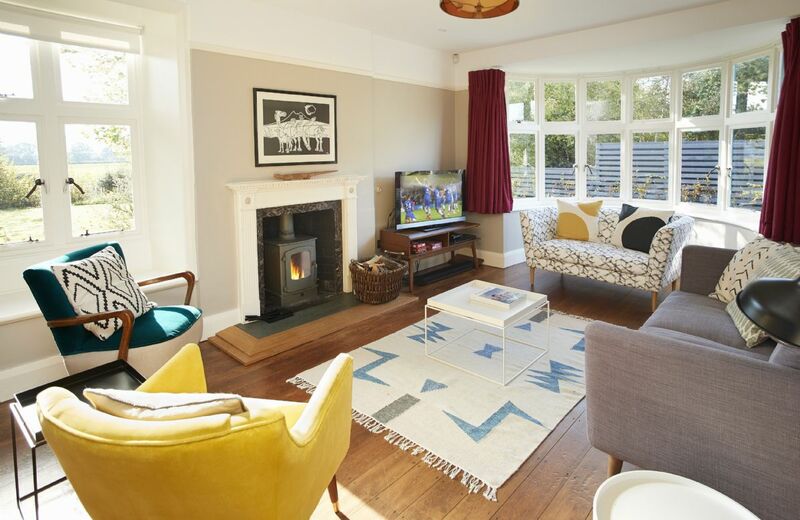 The living area is also superb with a large sitting room with comfy sofas and a wood burner plus a library of books and games and a second sitting room which we used as a playroom. The utility area was spacious and ideal for the dog. The tennis court and table tennis table in the unused barn was ideal for letting off excess energy. Jo, the outside caterer, dropped off some magnificent meals and made the whole long weekend a wonderful relaxed holiday. One we hope to repeat! For 15 people, shortage of preparation space. A central island in the kitchen would help. As above, we may well return. So spacious, well equipped and beautiful location. Lovely house and location but looking a bit tired. Needs a coat of paint and some furnishings refreshing. Fridge in utility room could do with cleaning. Thank you for your review. I am pleased that you thought the house was lovely and I have passed on your further comments. The owner apologizes for the fridge - a new cleaning assistant started that day and it must have been overlooked. The owner also says that they are looking at starting some redecoration when the quieter season starts. The outside space needed tidying up, lots of weeds, but house wonderful. Lovely property well looked after has the addition benefit of being near a Michelin starred hotel! The cottage was great and we all loved the space. The bedrooms were great and all 16 of us were very happy. Tennis court was brilliant and the children loved the space outdoors. Thanks. It was even nicer than it looked in the photos. A beautiful well equipped house in a lovely location. The Stagg in the village is an added bonus. Just the job for a large group. Very high quality. All bedrooms having en-suite bathrooms would have made it perfect. However, the oil tank was dry! An automatic service had failed the owners, and they did all they could to put it right. With heating and hot water I am sure this property would be more than excellent. Our party were not put off, and really enjoyed keeping the wood burners alight! The Company were generous with their compensation. This bright and spacious farmhouse is in a wonderful (and totally private) position with far reaching views on all sides. 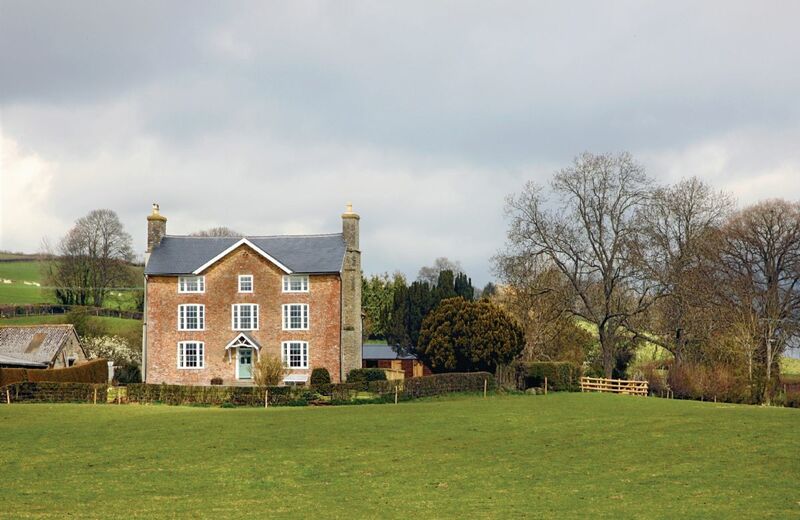 Situated in the West of Herefordshire near the Welsh border, the house is surrounded by its own ancient rolling pasture.